There is a saying that the eyes are windows to the soul. And keeping your eyes healthy and bright is something very important that everyone should pay a lot of attention to. Besides eating lots of leafy greens and fruits rich in beta-carotene, keeping the area around the eye hydrated is just as important. Because, if the skin is dry, it will become very susceptible to creasing and whatnot. To keep the eye area hydrated and healthy, you can apply a dedicated eye product and from time to time, slap on an eye mask and just lie on the couch, enjoy a shut-eye and wake up fresher looking! 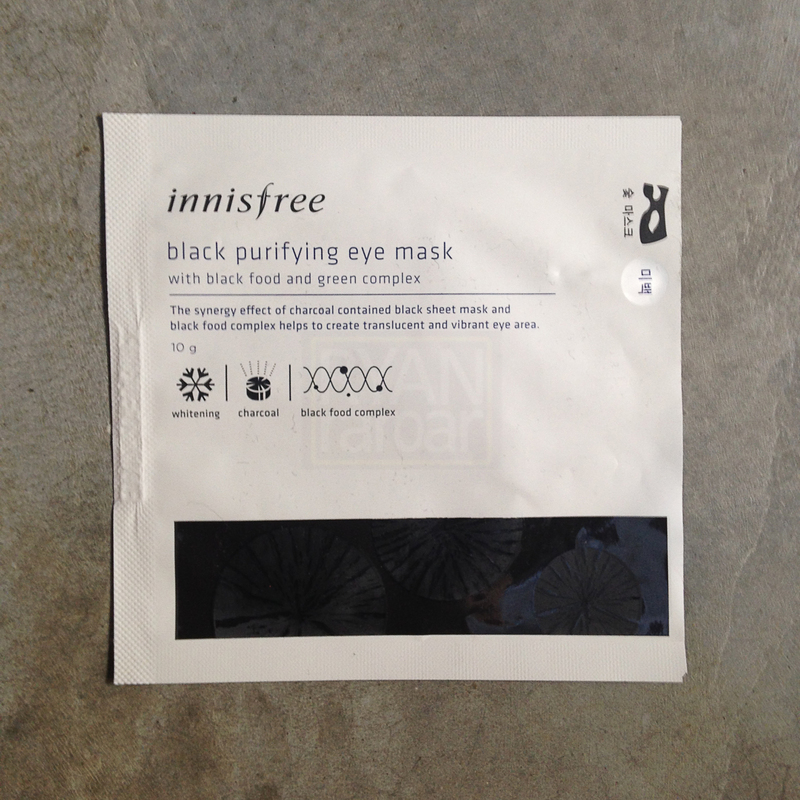 And on the blog today, i will be talking about the Black Purifying Eye Mask from Innisfree. Read on to find out what i think about it. 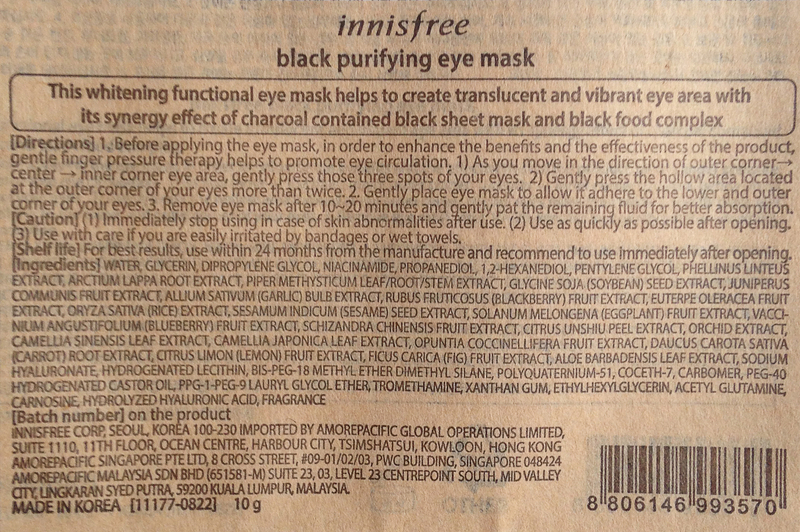 Personal take : I have actually heard a lot of good things about the “Black Purifying” line from Innisfree prior to purchasing the eye mask. 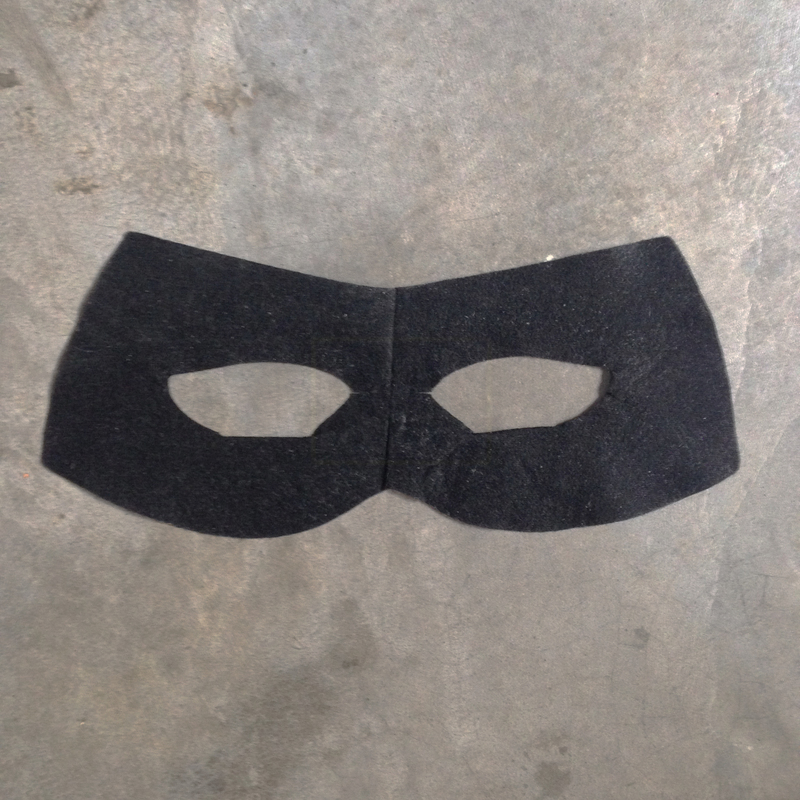 Besides the eye mask, there is also one for the mask. 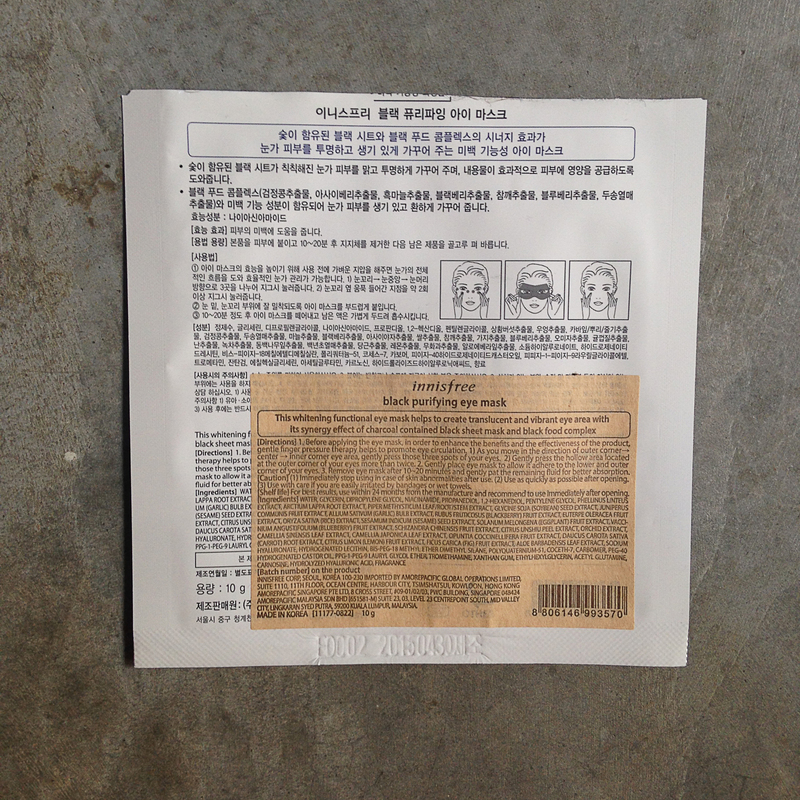 And alike the eye mask, the face mask is also black in color and is touted as a purifying and brightening mask. 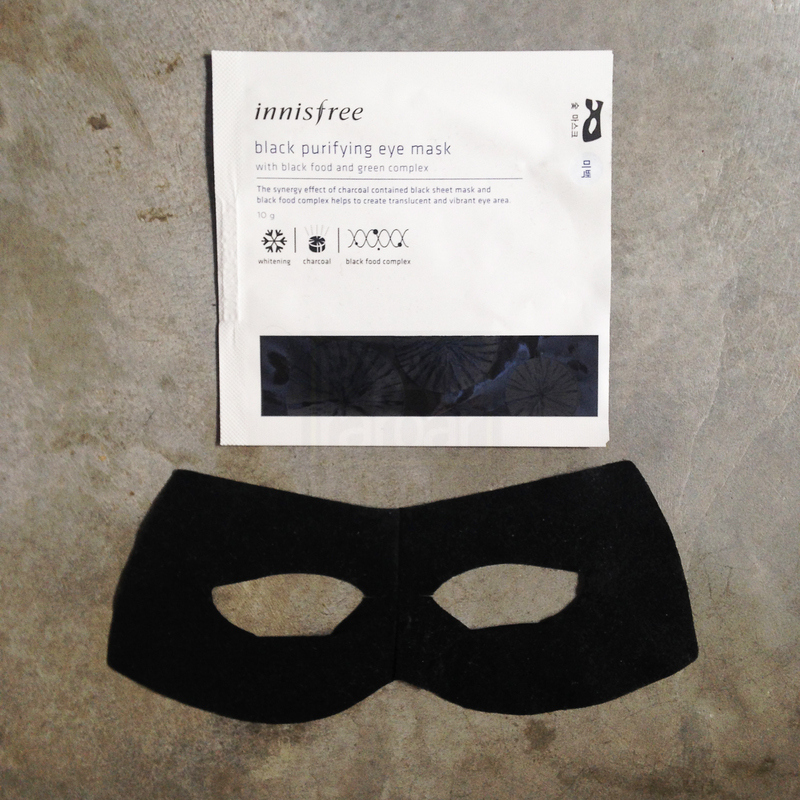 Similar to the face mask, this eye mask also contains Charcoal extract and Black Food Complex that helps in soothing, brightening and hydrating. 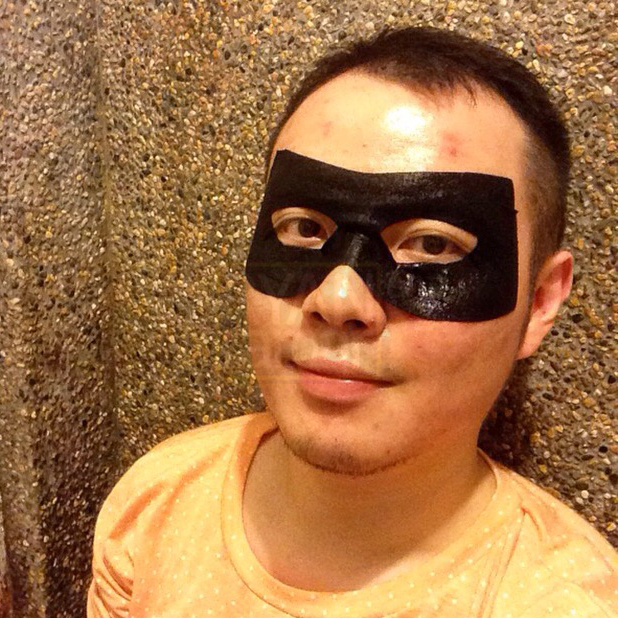 Although the eye mask did not significantly brighten the under eye area after the mere 20 mins, it did at least make me look more, well, rested as with all good performing masks should. The only qualm i have with the eye mask is the price point of it.